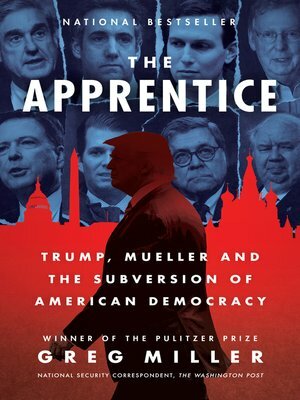 From two-time Pulitzer Prize–winning Washington Post national security reporter Greg Miller, the truth about Vladimir Putin's covert attempt to destroy Hillary Clinton and help Donald Trump win the presidency, its possible connections to the Trump campaign, Robert Mueller's ensuing investigation of the president and those close to him, and the mystery of Trump's steadfast allegiance to Putin. It has been called the political crime of the century: a foreign government, led by a brutal authoritarian leader, secretly interfering with the American presidential election to help elect the candidate of its choice. Now two-time Pulitzer Prize–winning Washington Post national security reporter Greg Miller investigates the truth about the Kremlin's covert attempt to destroy Hillary Clinton and help Donald Trump win the presidency, Trump's steadfast allegiance to Vladimir Putin, and Robert Mueller's ensuing investigation of the president and those close to him. and Trump's jaw-dropping behavior in Helsinki.